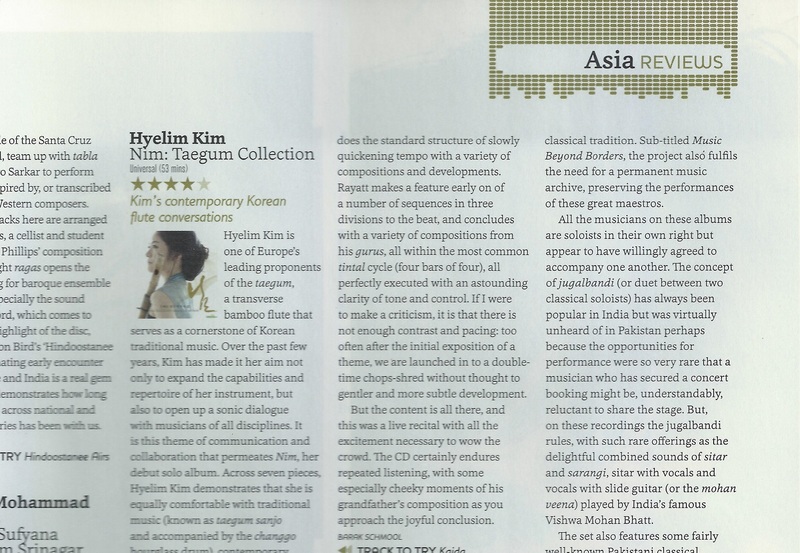 Congratulations to Hyelim Kim for receiving a four-star review from Songlines magazine (Jan / Feb 2014 edition) for her debut CD, Nim: Taegum Collection. The disk, released in 2013 at a concert at the Royal Asiatic Society, contains many of the pieces she has been performing in London over the past year or two, from her jazz collaboration with Simon Barker to her own composition for daegeum and electronics. Well worth a listen. You can get the disk at Amazon.co.uk.